Use code ‘JLSMILE’ for 75% off! Don’t forget to subscribe to see our videos in your subscription box every week and click the notification bell if you want special alerts send straight to your phone! Links marked with a ‘*’ are affiliate links, which means we receive a percentage of the revenue made from purchasing products through these links. This doesn’t affect you at all or increase the price of the products! Been using the Sonic for at least a decade. The batter lasts a long time. I was away for a month with it and only the last few days did it actually die where it wouldn’t turn on. I love the idea of the UV sanitizing! But sadly can’t upgrade right now. For makeup, it’s different in the States now. Makeup is counted separately. You don’t have to separate it, it’s allowed just as is wherever you have it, like in your handbag etc. Most of my family lives in England. I live in the US. My daughter got a passport at a month old. And most of my friends don’t have one. You are correct that most Americans don’t have passports. They are expensive and it’s just so easy to stay in America and visit various places within. I can’t believe I used manual for so long!! Historically the percentage of Americans with passports was in the single digits, sometimes fluctuating over 10%%. 1989-1990 was the low when just 3-4% owned one but its been steadily climbing since, with the current figure being about 42%. The 80% figure is very old. Prior to 9/11 we could go to mexico, Canada, and many of the carribean islands with only a birth certificate so lots of people didn’t have the need for one. 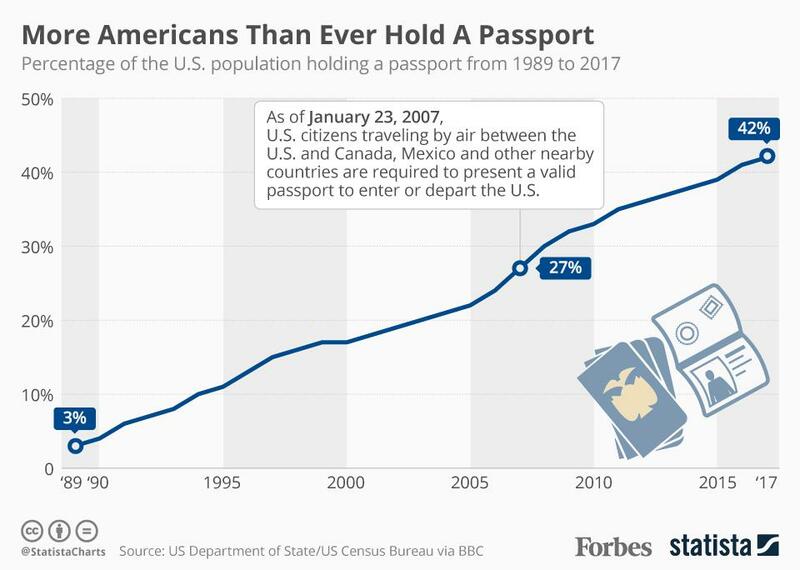 Since that law changed, many more Americans have been getting passports. Now approximately 40% of Americans have passports and that figure is constantly growing. OMG!!! I’m telling you, you should you go to Panama!!!! Very helpful video lots of handy information. I am not surprised by your figures on the number of Americans who don’t have passports, our family of 5 has only our one daughter that has a passport. I did my traveling to Canada and the Bahamas before 9/11, when we didn’t need one to go to those countries. Great job again!! Love you guys! !